Badger Games continues to expand the ranges we carry in the US from overseas. Many of you who follow Badger Games know that we have always had Crusader Miniatures at our booths at conventions. Well, now Badger carries a lot more Crusader. We now stock the entire Crusader Miniatures Dark Ages range on our site (and will continue to at CONs). So, whether you are looking to expand your Viking force for SAGA, pick up a new Norman army for ARMATI or fill out your Byzantine DBA army, the Badger has you covered. Additionally, we have the complete Crusader Gladiator line in stock and ready to ship. If your JUGULA ludus needs expanding or Spartacus needs some reinforcing, we have you covered. 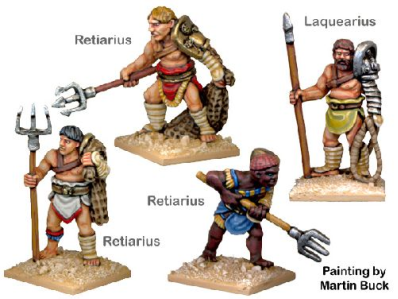 Badger will also soon have the fantastic new “Sons of Mars” rules on our site. There is a lot of buzz around these rules and they are proving to be very exciting. Get your figures started today! Badger will be adding more Crusader ranges to our site shortly, so watch this space. This entry was posted on Monday, September 24th, 2018 at 16:28 and is filed under News. You can follow any responses to this entry through the RSS 2.0 feed. You can skip to the end and leave a response. Pinging is currently not allowed.